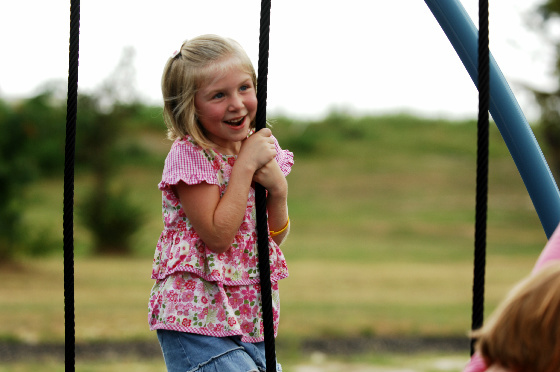 Take your kids to as many playgrounds as you can this summer. It may win you one of three week-long trips to Washington, DC. The challenge is issued by KaBoom!, a non-profit organization dedicated to promoting the benefits of play and creating a playground within walking distance of every child. KaBoom!’s mobile app allows you to find playgrounds in your community as well as plan and share play dates with friends. Using it also helps the organization continue mapping playgrounds, a project that helps them determine where playgrounds need to be built. KaBoom! got its start in 1995 when founder Darell Hammond read a newspaper story about two young children who had no place to play. They climbed into an abandoned car where they suffocated on a hot summer day. He gathered funds and volunteers to get a playground built in the area. Hammond tells the story of growing up in a group home to a life dedicated to saving play in KaBOOM! : How One Man Built a Movement to Save Play. Every playground built begins with dreams. Children and others in the community are asked to design their perfect play place, then grants and volunteers make it happen. To date, KaBoom! 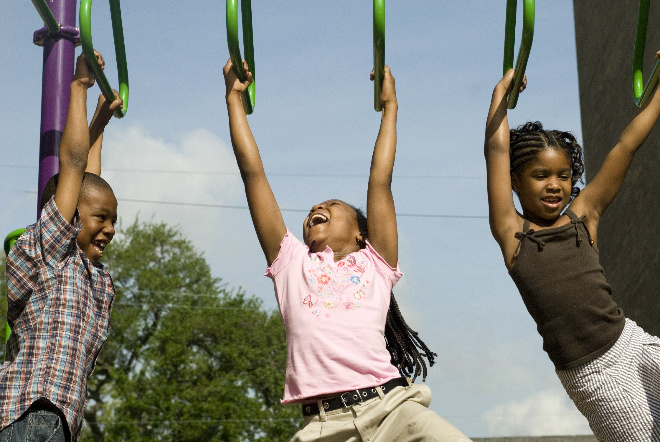 has built 2,100 playgrounds while fostering greater community involvement. Check out the organization’s new book Go Out and Play! : Favorite Outdoor Games from KaBOOM! , enter the KaBoom! Summer Challenge, and let the fun begin. A swing doesn’t swing on its own. A slide doesn’t slide. Playgrounds are the heart of a community – and they come alive when you and your family are there.